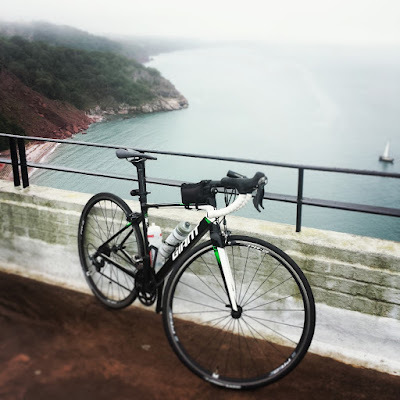 For my August century ride I decided to tour around the county of Devon. We go on holiday to Plymouth every summer to visit relatives so I thought it would be an ideal opportunity to cycle places I've never been and get the 100 miles done at the same time. Before we arrived I'd been trying to plan a route. 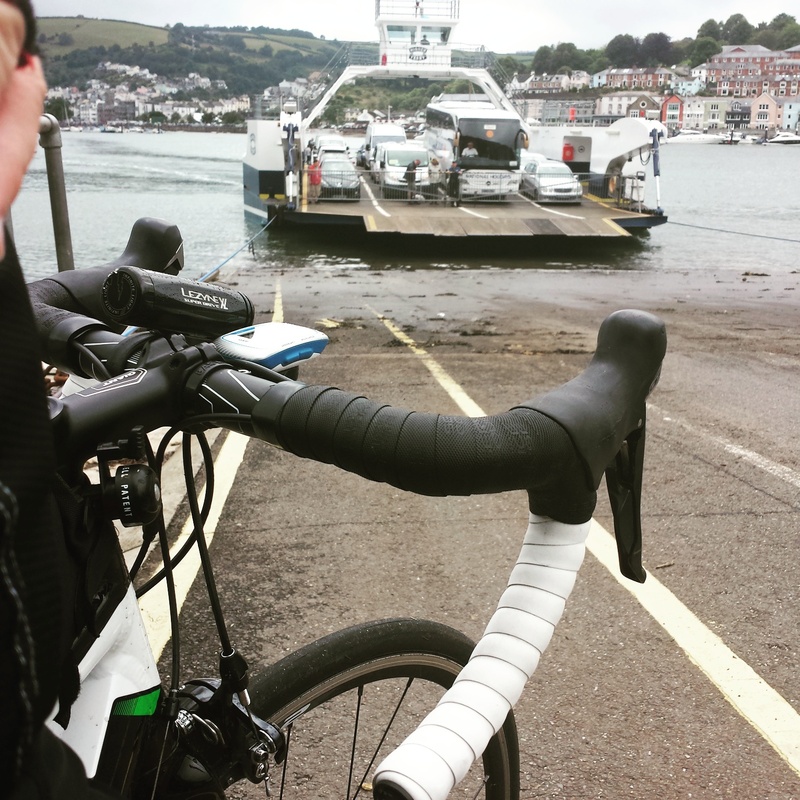 I had a an idea to cycle to Land's End and get the train back but there's no nice ride down there from Plymouth. I'd still not decided where to go by the time we left home. After searching routes on Strava, and discounting the Plymouth Gran Fondo, I had a better idea. I would ride through Dartmoor before heading to Torquay and then back via Dartmouth and Kingsbridge. The day after arriving in Plymouth, the weather was glorious. However, I had to choose which day to ride, based on the week's weather forecast. Every day looked rubbish but I chose the day with the least chance of rain. Knowing which day I was riding also meant I could check to see if my brother would be in that day as he lives in Paignton, a short detour from my route. On the day, the forecast looked more grim that I'd hoped. Rain would never stop me doing a ride, it just puts you in a different frame of mind. Added to that, when you are on a sightseeing ride like this, it reduces what you can see. I stepped out of the door at 6.39am, there was a fine drizzle in the air. The start of the ride is uphill and continues to be pretty much for first 10 miles. The ride out of the city didn't take long as I was on the outskirts and traffic was fairly light. I was passed by a couple of cyclists but unbeknownst to me, they were the last I would see for most of the day. It's not long before you enter Dartmoor National Park, which covers almost 1,000 square kilometers with granite and moorland. By now the drizzle was heavy so I stopped to put my rain jacket on. I was hoping to see some of the beauty of the landscape but with the drizzle came very low visibility. I was already glad I had my bike lights with me. 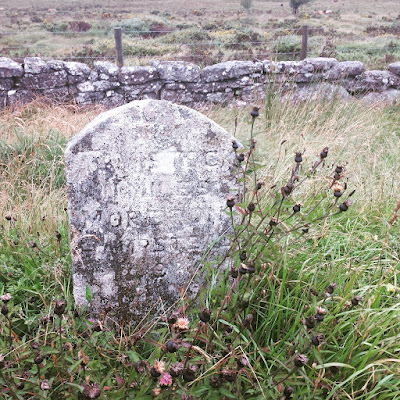 Dartmoor isn't just a large expanse of desolate moorland. It's broken up by villages along the way. It wasn't long before I got to my first village though. These aren't that far apart but because visibility was low, you don't get a sense of distance. From here the climbing started properly. 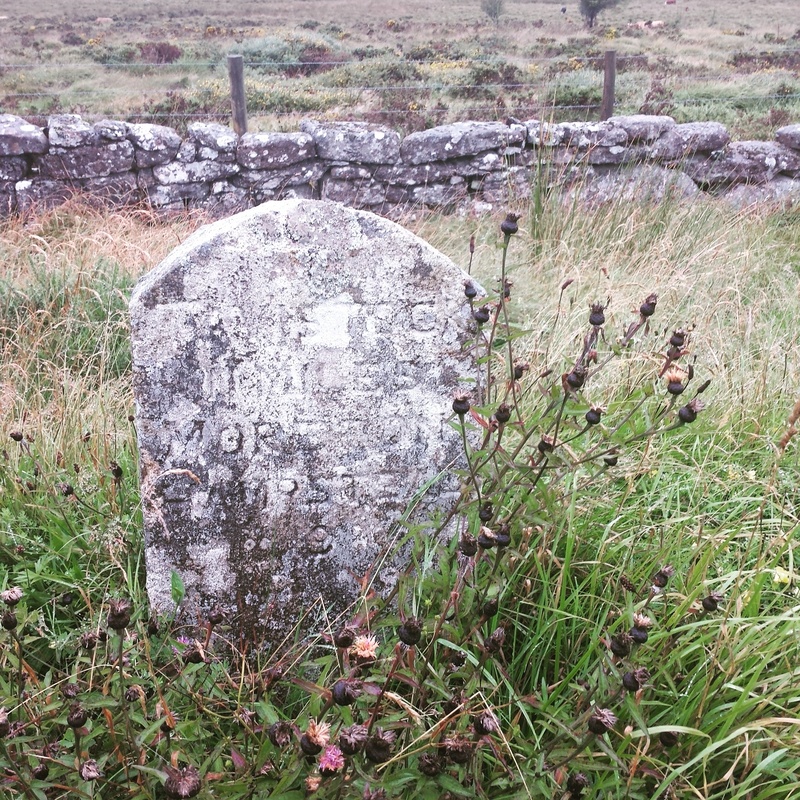 You climb to about 1,200ft before a few dips peaking around 1,400ft at Princetown. From here it's a fast downhill but with lots of surface water my backside was soaked. I wish I'd bought mudguards. It's pretty much rolling hills for some time and it's not long before I reach a place called Two Bridges. Probably named so for having two bridges! Very picture postcard scenery here. A while later I ride through Postbridge. This hamlet has what's known as a clapper bridge dating back to the 13th century. It's a simple stone bridge but very striking. From here it's a steep old climb back into the open moorland with no protection against the rain. However, there are several fast descents and no real climbs for a while. It wasn't long before I arrived in the village of Moretonhampstead. 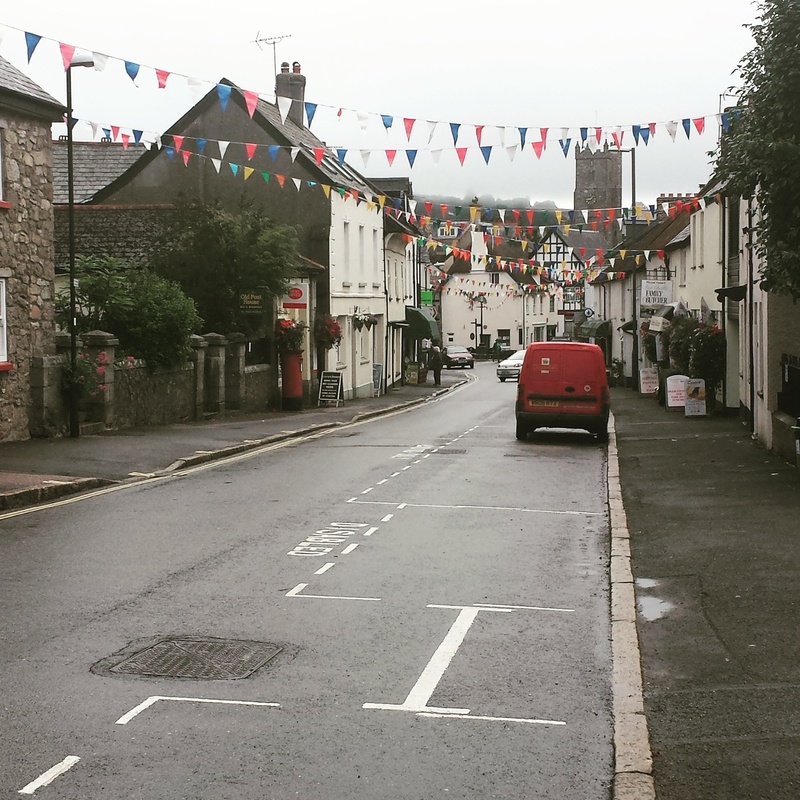 It's a lovely little village which had bunting out (not for me though I'm guessing). I stopped at a shop and bought some breakfast. I was now a quarter of the way into my ride. I'm now heading south east and although I'm away from the moors, the land is very green and hilly. Fortunately, the hills are either side of me. Apart from the narrow and nicely paved roads, there's nothing of note until I get to Bovey Tracey. It has some kind of giant Jenga sculpture on the roundabout before I reach the A38. The roadworks slow me a little but it's not long before I get out the other side, past Trago Mills and onward to Newton Abbot. The town of Newton Abbot is busy as it's now 10am and I'm glad I have the route on my Garmin as it doesn't seem that obvious how to get through. It's not long before I hit some roadworks again. This time, there's a cycle path I can hop onto. The relief is short lived as the subway I'm signposted to take, doesn't seem to have any familiar place names for me to head towards. After trying all of them, and getting a little frustrated, I eventually find the right one. The building of a new bypass seems to be holding the cars up, but as a cyclist I have a brand new side road I can use. This is great for a while, until I'm spat back out onto the contraflow with the cars. it's not long until there is a bike lane on the road and I'm over taking cars again. Riding through towns is not usually a great experience on a bike but often a necessity when covering large distances on a bike. However, today I needed to head into Paignton for lunch at my brother's. Rather than heading straight from Newton Abbot to Paignton, I planned to detour via Torquay. I was hoping the sun might shine as I wheeled towards the seafront. This was not to be. A brief photo stop and I was back in the saddle. There's a nice view of the bay as you head towards Paignton and Torquay has a ferris wheel like a mini London Eye. My brother lives on a hill so it was a bit of a long old drag to get to his from the seafront. I was now about half way into the ride. It was a brief lunch stop. I was asked my route and I gave the little detail I had. When questioned, "you must be taking the Dartmouth ferry then? ", I replied "I don't think so" in surprise. I waved goodbye and was back on the road. It had seemingly stopped raining now and as luck would have it, for the rest of the ride too. It's a little hilly between Paignton and Dartmouth but there's a nice descent as you head down to the river. 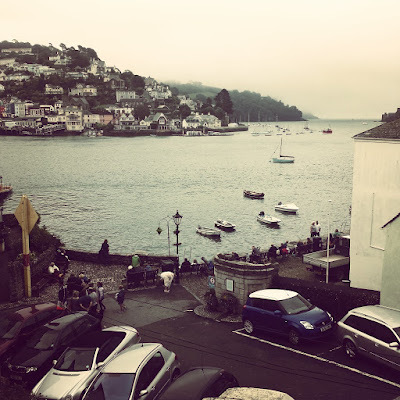 There was a queue of cars ahead, presumably for the ferry and several of them were out of their cars. I soon realised they were waiting to see the steam train that was coming past. Didn't have time to get a picture. I wheeled past the waiting cars and got to the front to wait for the ferry. A few minutes later I was on board and bought my ticket. 60p is not too bad to cross the river (foot passengers pay the same). Once on the other side, Dartmouth is quite picturesque, even in the mist. Being holiday season, it was full of tourists and navigating them on the narrow streets was a little slow. I wish I could stay longer but I had a slow grind of a climb waiting for me to conquer. With the roads being narrow I was glad there was little trying to get past me and those that were, all seemed happy to wait as I huffed and puffed to the top. 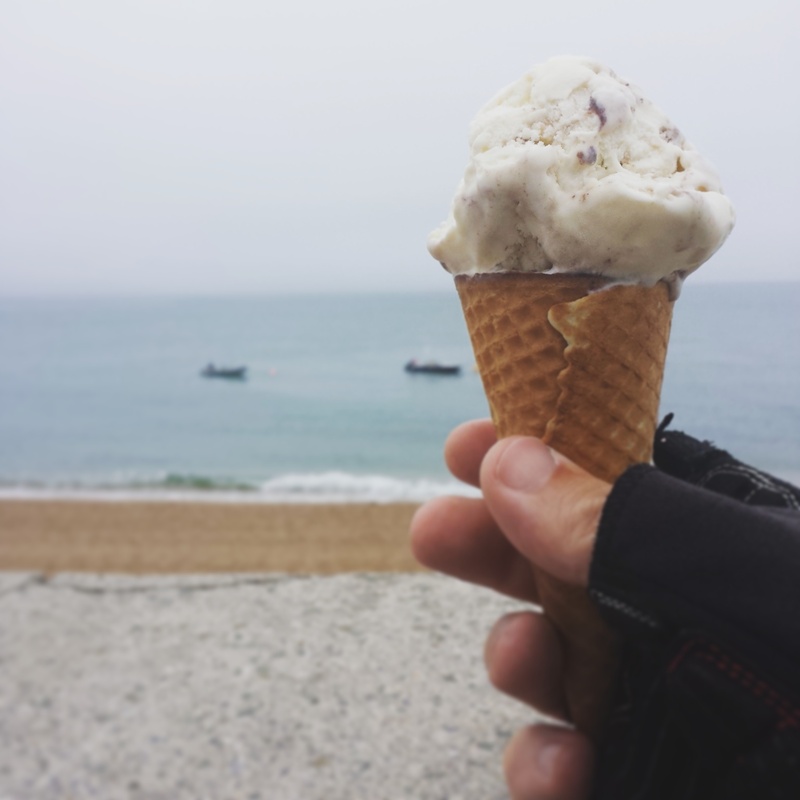 I pedalled past a beautiful bay which I now know to be called Blackpool Sands. I never stop on a climb unless defeated but I couldn't resist resting a foot on a dry stone wall to get a snap of this little hideaway. Hopefully I can bring the family back to visit soon. Back down at sea level again and I was riding into a bit of a head wind. Not too strong but there was no shelter. It was a nice straight road with the sea to my left and a nature reserve to my right. As the road bear right, I pulled over enticed by the sale of ice cream. A quick refreshment break and I was back on the bike. I was now headed back to Plymouth. It's not really hilly from here but there were a few sharp bits to surprise me, especially in Modbury. 88 miles in and I stopped at a garage for more food. The young lady behind the counter asked if I had far to go. "Plymouth", was my reply. "Not far then" she quipped. It is when you've already done 80+ miles, I replied in my head as I smiled back. It wasn't much longer that I was on the outskirts of the city and back on familiar, but busier roads. 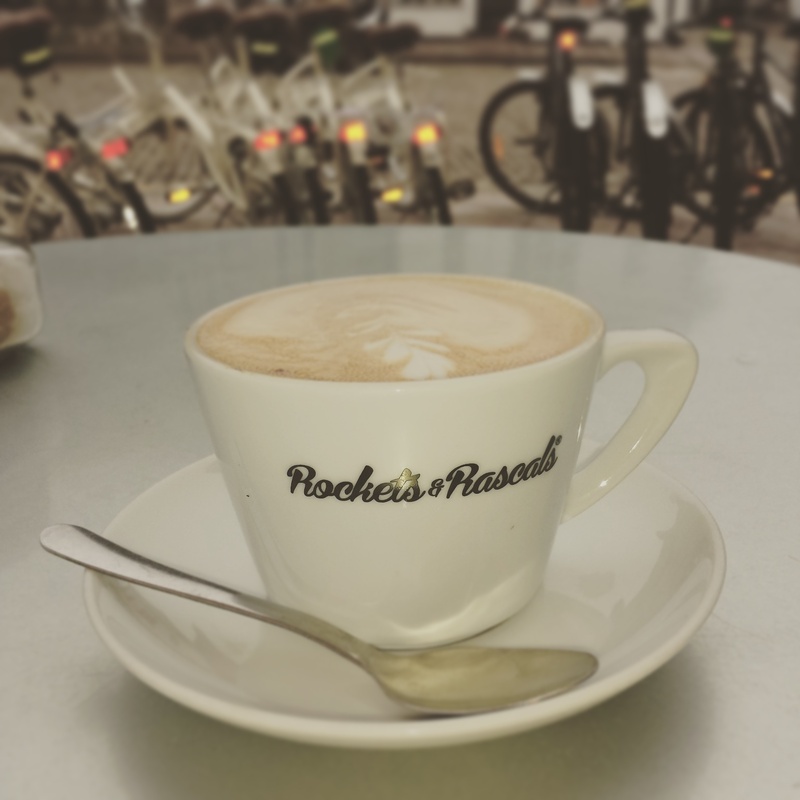 I headed towards the Barbican for my next stop at Rockets and Rascals bike cafe for a nice coffee stop. After a brief break it was a short ride over the harsh cobbles and around the Hoe before heading north through Stoke Village and onto Home Park. It was here I hit the century mark and detoured off the main road and headed to Honicknowle. It was a short ride back to where I started in Whitleigh. Century ride 8 of 12 complete.